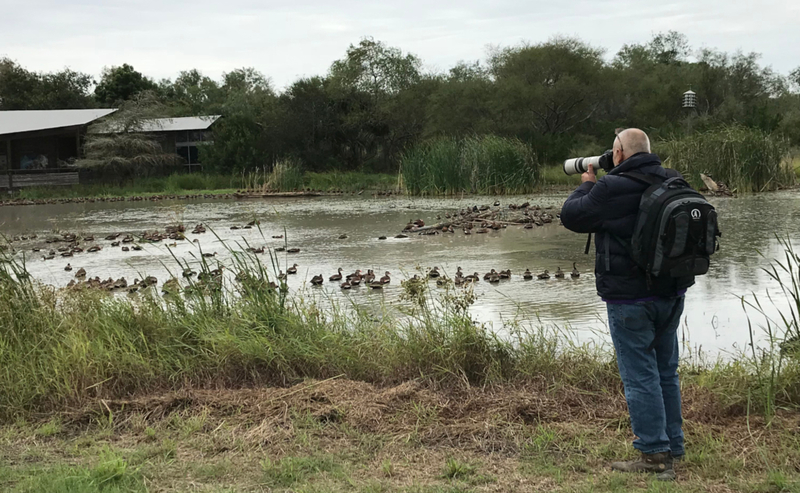 From the deck at Estero Llano Grande State Park in Mercedes, I watched approximately 2,000 black-bellied whistling ducks in Ibis Pond as they looked for food, perched on logs and bobbed in the chilly November water. The park’s 200 acres of woodlands, lakes and marshes shelter an amazing abundance of wildlife from seven alligators to diverse birds, butterflies and 24 mammal species as well as native plants. The mid-Valley park is an ecotourist magnet worthy of its international and regional reputation. But isn’t Estero Llano Grande in Weslaco? Not anymore. It’s a complicated story. The park has always been in the Mercedes Tract, and in mid-2015, boundary discrepancies were rectified. 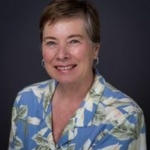 “Both mayors agreed on the current and future boundaries of Estero Llano Grande State Park,” said Javier De Leon, park superintendent for the past four years. “The address is still Weslaco, but the park is very much part of the Queen City. Mercedes has been very supportive of us and paid for our booth at the RGV Birding Festival. 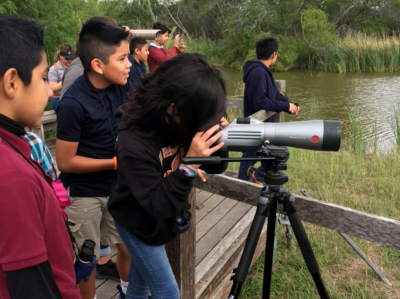 Mercedes supported our team in the Texas Birding Classic, and we won first place.” Because of the city’s $1,000 investment in the winning team, the park was able to obtain a $5,000 grant from the Texas Parks and Wildlife Foundation. A remarkable state park is a major contributor to quality of life. “The Valley doesn’t have many places where you can take a stroll and hear screech owls and pauraques,” De Leon said. Studies have shown that people need nature. “We try to educate folks about how special our nature is here and provide them a place to experience nature. We reach out to everybody.” Overall annual park visitation is about 24,000 people. Estero is the only place in the United States where the bird known as a red-legged honeycreeper has been seen. That translates into visitor dollars, too. Education is central to Estero Llano Grande’s mission. Every Mercedes fifth-grade class now visits the park as part of the science curriculum. Last year, schools from across the Rio Grande Valley sent more than 2,200 students on field trips to the park. During outreach events, the park impacted an additional 1,817 people. Estero Llano Grande (which translates as low, grassy plain) provides abundant opportunities to immerse yourself in nature. You can trek along caliche trails to Alligator Lake and a scenic overlook. Self-guiding maps make it simple to navigate the trails. In the butterfly gardens, numerous interpretive signs note which birds and butterflies are attracted to colorful native plants such as lantana, Turk’s cap and mistflowers. 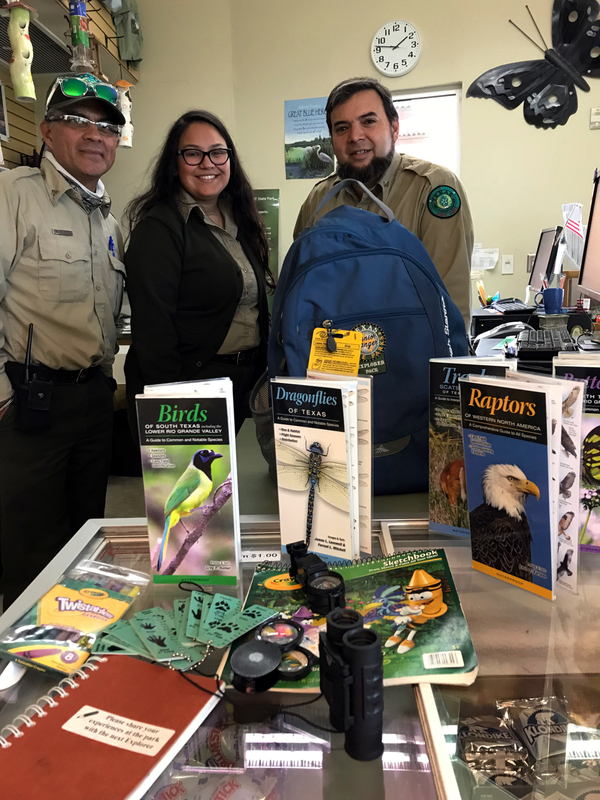 Families can check out, free of charge, a daypack filled with field guides, binoculars, a magnifying glass and even a guide to identifying animal tracks. A Bird Walk with Santa is slated for 8:30 a.m. on Dec 16, while Night Hikes with Santa are set for Dec. 8 and 22. Monthly night hikes are held every new moon and full moon, while bird walks are every Wednesday and Saturday mornings. De Leon, who leads a staff of 11, believes that experiencing nature helps individuals become more aware of what nature holds and that leads to greater understanding and, eventually, caring for natural resources. The park’s Junior Ranger and Explorer programs help that process, as do regular visits to Estero. 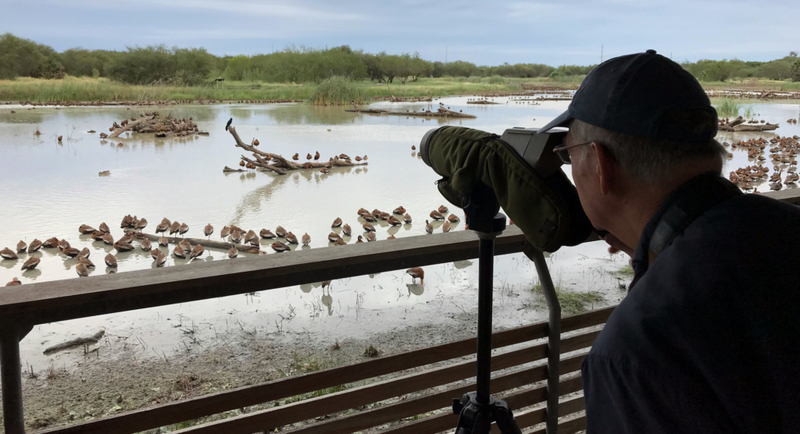 While Texas Parks and Wildlife has owned what was known as the Mercedes Thicket since 2012, it has only this year incorporated the facility for day and overnight groups into Estero Llano Grande’s operations. The unique retreat center surrounded by nature can accommodate about 100.